Insafe are incredibly proud of our accreditations. Our Head Office and Factories have achieved the ISO 9001 Quality Management and ISO 14001 Environmental Management certifications. Our ISO 9001 Quality Management certification shows we bring vital business benefits, including increased customer confidence, improved quality of output, better cost control and reduced risks. Approval of a quality management system demonstrates our internal quality systems and processes are in place and operating as intended ensuring increased efficiency in the workforce and improved productivity, consequently helping to improve our customer service. The ISO 14001 Environmental Management certification is a clear way we demonstrate our commitment to the environment and provides an assurance to our customers, regulators, and purchasers that the policies and procedures we put in place will address their environmental, financial and management concerns. Our continual evaluations to ISO14001 help us improve environmental performance of products, systems and services. 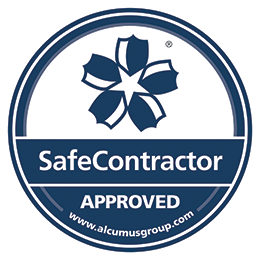 Insafe is accredited by SAFE Contractor which recognises high standards of health and safety practise amongst UK contractors. A fact we are very proud of ! Our Insafe S2 Safe range is independently tested and certified by LPCB – the UK Loss Prevention Certification Board. The Insafe EuroGrade Safe range has been independently tested and certified by LPCB and fire tested by SP Laboratory. What’s more, the AiS – Association of Insurance Surveyors in the UK have approved every Insafe safe and awarded it an insurance rating. We guarantee your safe will get insurance cover or we will change it. The Association of Insurance Surveyors, AiS, is a well known and respected body of individual risk control and reduction experts working in the insurance market throughout the UK. AiS approved safes have gained insurance approval by UK Insurance Companies so they will pay out should a claim need to be made so long as the safe has been installed correctly. Only safes that have been fully tested and certified by independent testing house will gain an AiS certificate. If a safe purchase has been asked for by an Insurance Company we only recommend purchasing an AiS approved safe as this will guarantee the correct product with an approved rating for the specific requirements requested. The Loss Prevention Certification Board (LPCB) has been working with security industry and government for more than 100 years to set the standards and give their accreditations needed to ensure that fire and security products perform effectively. LPCB offers third-party approval confirming that products have met and will continue to meet these standards. This benefits both end-users and manufacturers. Insafe is a member of European Security Systems Association (ESSA) e.V, the esteemed European Certification Body organisation. As a body giving neutral certification, the European Certification Body GmbH has over 40 years experience in testing and certifying quality security technology. In 1992, the ECB was accredited certification according to EN 45011. The accreditation certificate is confirmation of competence according to EN 45011 to carry out the certification on security products in accordance to relevant European standards. SP Certification is one of the most experienced and leading bodies for product accreditations and certification in Sweden. SP issue certificates of compliance for many standards. The product certification aim is to confirm that a security product complies with a number of specified requirements found in authority regulations, standards or specifications. SP are a Notified Body for a number of EU directives. VdS is an independent institution which has been ensuring safety and trust in security for many decades and develops advanced safety concepts for industrial and commercial enterprises, leading manufacturers and system businesses as well as specialist firms and independent specialists. As one of Germany’s leading independent testing institutions for fire protection and security, VdS has gained the trust of all groups involved in the safety and security. Its customers include risk-conscious industrial and commercial companies, leading manufacturers, systems houses, specialised firms and specialist trades. VdS is a fully owned subsidiary of the German Insurance Association (GDV) and, through its owner, has more than 100 years of experience. Underwriters Laboratories is a global independent safety company that provides safety-related certification. Backed by over a century of proven safety science expertise, consumers, businesses and regulatory authorities worldwide recognise the technical excellence and trusted accuracy of UL certifications. Insafe strives to stay at the forefront of safes and security. We are continually seeking to improve our product ranges, services and knowledge to pass onto our clients. By becoming members of the following organisations we not only learn but also impart our knowledge into the industry. A win for us. A win for the security industry. A win for our clients. Insafe is an approved member of The Master Locksmiths Association (MLA), the leading Trade Association for the locksmithing industry. Due to a lack of government licensing of locksmiths The Master Locksmiths Association – a not for profit organisation – was established to ensure locksmiths meet a standard of skills and ethics within the industry. The MLA established an industry wide licensing scheme where its approved companies are vetted and regular inspections taken to ensure a standard of quality for customers is met. Eurosafe UK members advocate high security standards by manufacturing and supplying high quality, insurance approved products. Eurosafe UK assist the customer by assessing the competency of suppliers and awarding their certification. Eurosafe UK are an accredited member of the Safety Schemes in Procurement Forum. The SSIP Forum has been established to enable mutual recognition between various third party health and safety assessment schemes. Eurosafe is an association of safe manufacturers in mainland Europe established over 25 years ago. The primary objective of Eurosafe UK is to restore confidence in European standards for testing and rating cash safes, computer data safes, security cabinets and document fire safes. Eurosafe UK encourages insurers, specifiers, buyers and users to choose cash safes tested and certified by the BRE/LPCB in the UK or European test houses affiliated with the European Fire & Security Group (EFSG) or those products certified by the European Certification Board – Security (ECB•S). Member companies will campaign to resist the lowering of security standards by only manufacturing and supplying high quality, insurance approved products. Insafe has been appointed as a Security Institute Corporate Partner. Both organisations represent the very finest qualities of the security industry and as such it is a logical partnership. Insafe were delighted to appear in the annual Parliamentary Review alongside the Prime Minister and a small number of outstanding organisations in a document that looks back on the year in industry and Westminster. Established by former minister The Rt Hon David Curry in 2010, The Parliamentary Review’s release is now a key fixture in the political calendar. The main aim of the Review is to showcase best practice as a learning tool to the public and private sector. 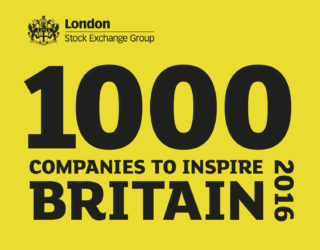 Insafe was been identified by the London Stock Exchange as one of the 1000 Companies to Inspire Britain. This is an annual celebration of the UK’s fastest growing and most dynamic SME’s and looks at sectors and trends that are shaping the economy. Insafe was selected by the LSE because we were more innovative and have out-performed our peers.